We offer an assortment of Water Testing Equipment which is commonly used to detect the residual chlorine, pH value in raw and treated water. Our precise gamut is developed under the supervision of experienced professional by using finest quality raw material like plastic products, PVC, UHM, brass stainless steel, haste-alloy, mild steel and carbon steel. We also offer customization on our range as per the specification of clients. We supply a gamut of Chlorine Test Kits which are used to check the residue chlorine in raw and treated water with the help of Ortho Tolidine reagent. Our gamut provide economical test with quick results. These can also be customized as per the requirement of clients. 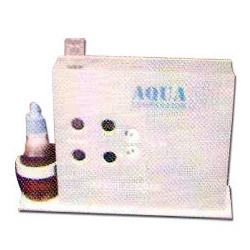 We present a range of Aqua PH Test Kits that are fabricated using premium quality raw material such as plastic products, PVC, UHM, brass stainless steel, haste-alloy, mild steel and carbon steel. Our range consists of Bromo-Thymol Blue / Phenol Red reagent that is used to check the accurate pH value in raw and treated water. 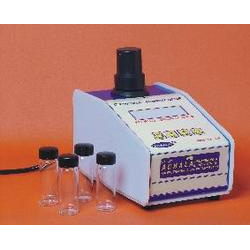 Our array of Electronic Digital Nephelo Turbidity Meter is compact in size. Designed in compliance with international quality standards, our meter is provided with long lasting Infrared/LED operated photo cell Sensing. Available in various models, our array has direct digital output in NTU. We manufacture an assortment of Electronic Digital pH Meter which is developed using optimum quality raw material like plastic products, PVC, UHM, brass stainless steel, haste-alloy, mild steel and carbon steel. 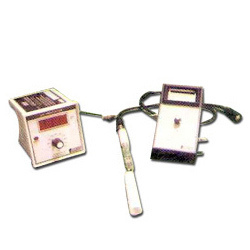 Our range consist of table top, hand held, long life sensors (Gel Filled Electrodes) which helps in testing the PH value of water in an accurate manner. 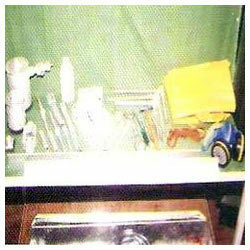 These are extensively used in water treatment plants, mass production portable water plants. It also has Digital LCD or Bright LED display which shows 0 to 14 pH value in water and 1% to 2% accuracy. 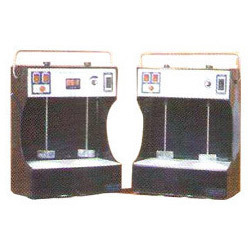 We provide a gamut of electronic laboratory flocculators (jar test apparatus) that have fiber glass body. 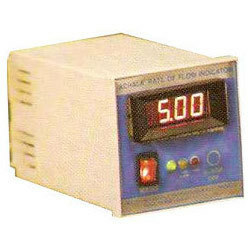 It has timer and digital rpm indicator which show 10 to 120 regulated rpm with 2% accuracy. Our precise gamut is available in various models like 2 stirrer/ 4 stirrer & 6 stirrer. We also provide in them customization as per the desired demand of clients. 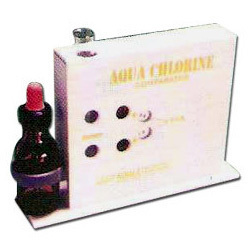 Our assortment of chlorine emergency kits is fabricated using premium quality raw material like plastic products, PVC, UHM, brass stainless steel, haste-alloy, mild steel and carbon steel. These are specifically used to detect the chlorine level in water. Our kit has all the requisite accessories which are required for handling and arresting leaks in 100 kg cylinders and 900 kg toners. These are diversely used in water treatment plants and mass production portable water plants. Micro controller based, long lasting IR sensor with IR emitter source, 0 to 500 ntu, 0-1000 ntu and 0-2000 ntu of turbidity measurements suitable for water and waste water treatment plants. Our gamut of Electronic Digital Rate Indicators for Filter Beds and Raw Water Channel is extensively used in water treatment plants, sewage treatment plants and mass production portable water plants. These are developed using finest quality raw material like plastic products, PVC, UHMW, brass, stainless steel, haste-alloy, mild steel and carbon steel. It has remote indication that indicates the water level in cubic meters per hour, or per min. or MLH with 2% accuracy. This sturdy designed equipment has data loggers and printers. Looking for Water Testing Equipment ?